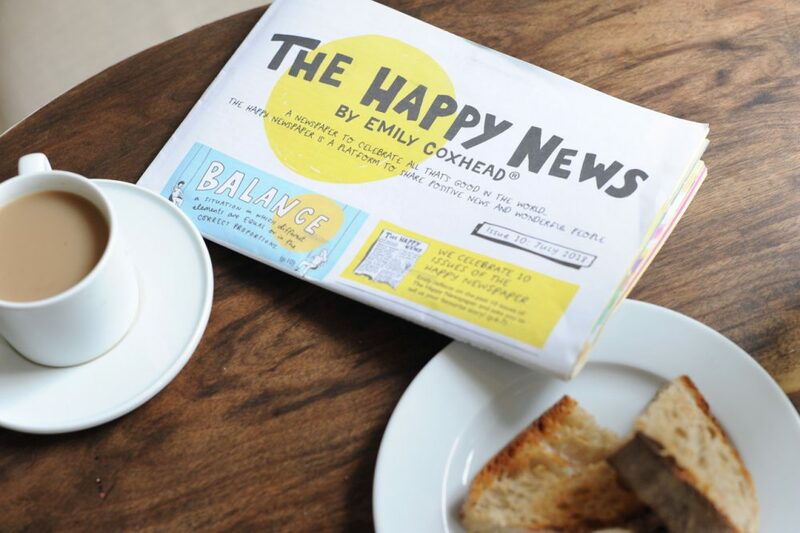 The mainstream news is a pretty depressing read, so Emily Coxhead created The Happy Newspaper to celebrate good news. 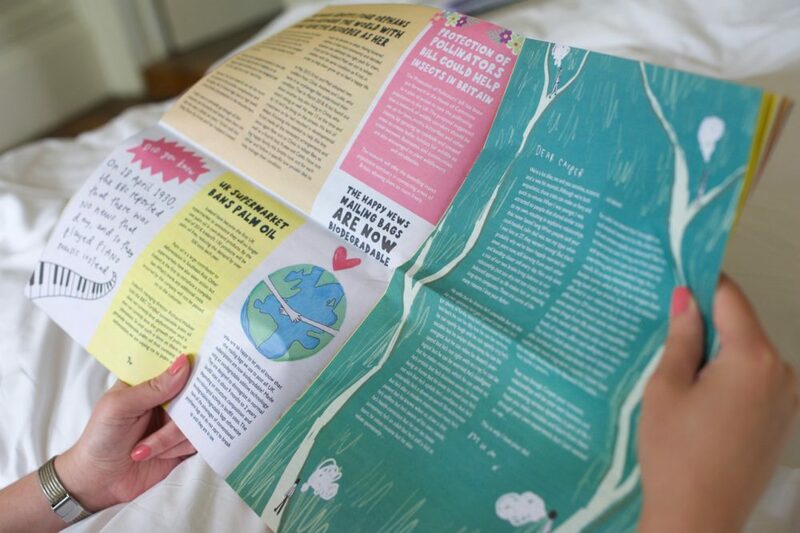 Emily founded The Happy Newspaper in 2015 through Kickstarter when she realised the effect the news was having on her. Looking for a platform to celebrate good news and wonderful people, she decided to set up her own independent newspaper dedicated to the cause. Emily is an illustrator with a passion for spreading happiness. 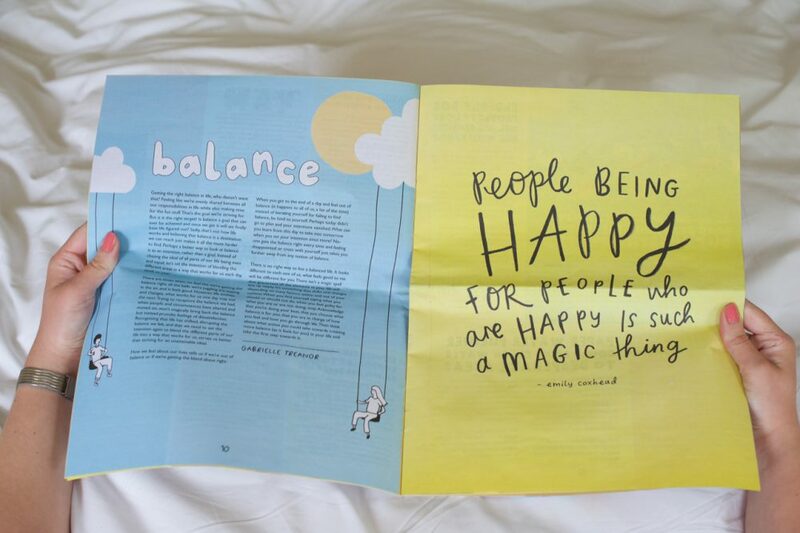 Her colourful illustrations and motivational phrases feature on her Instagram and in issues of The Happy Newspaper. Her relaxed, friendly style is instantly recognisable and can now be found in shops like John Lewis. Emily’s bubbly personality shines through every page of the newspaper. There’s a sense of fun and joy, not just in the messages but every colourful, hand-drawn illustration. 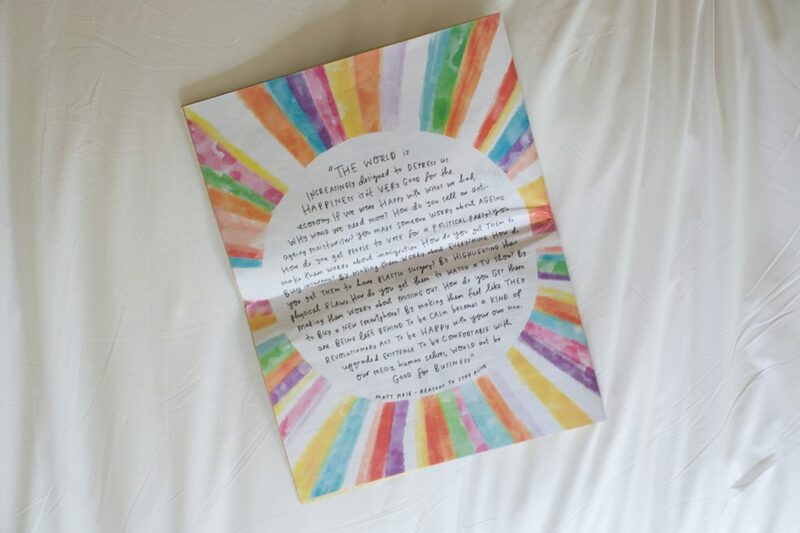 Rather than have columns of typed text like a traditional broadsheet or tabloid, The Happy Newspaper totally breaks the mould with handwritten pages, full of bright, bold colours. 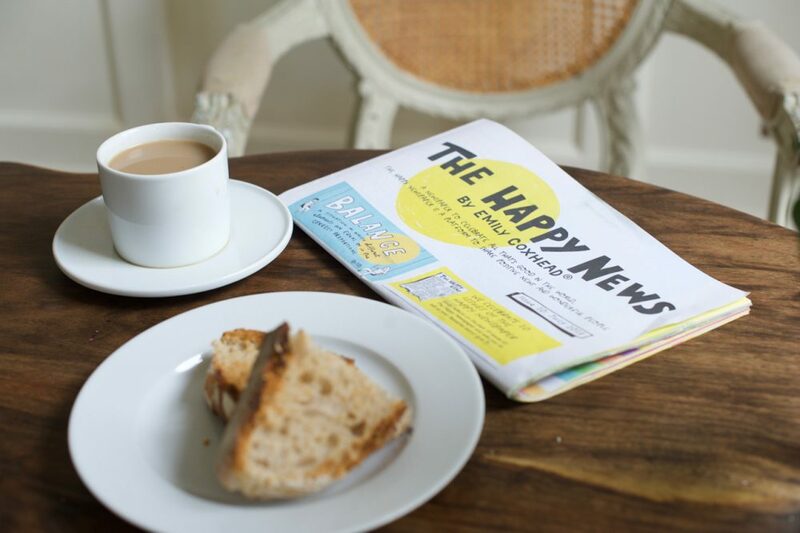 Similar to Positive News, The Happy Newspaper is upbeat and motivational, rather than focusing on everything that’s going wrong in the world, The newspaper shares what is going well, and what we can celebrate together, as well as other people’s personal happy stories. 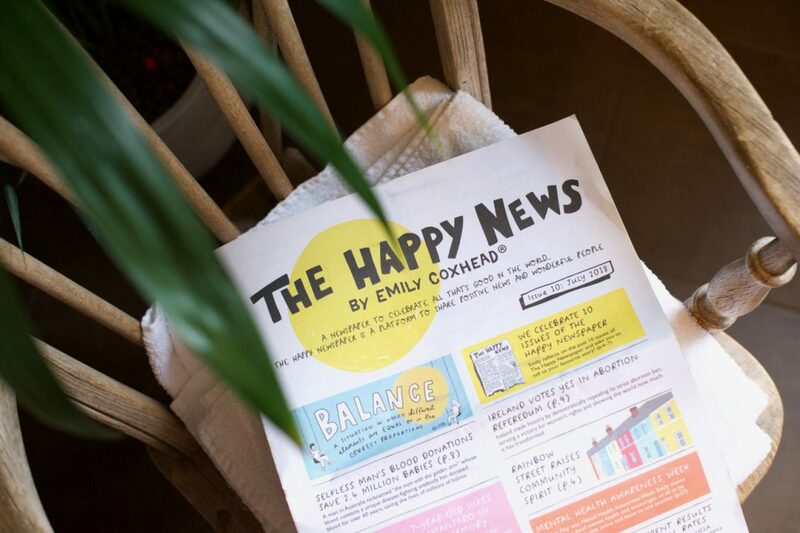 While happiness may seem an irreverent thing to write about, Emily’s newspaper puts a smile on people’s faces, creates a sense of community and is genuinely uplifting. Making life better for people and restoring their faith in humanity is a very awesome thing to do. How do you feel when you read / watch the news?